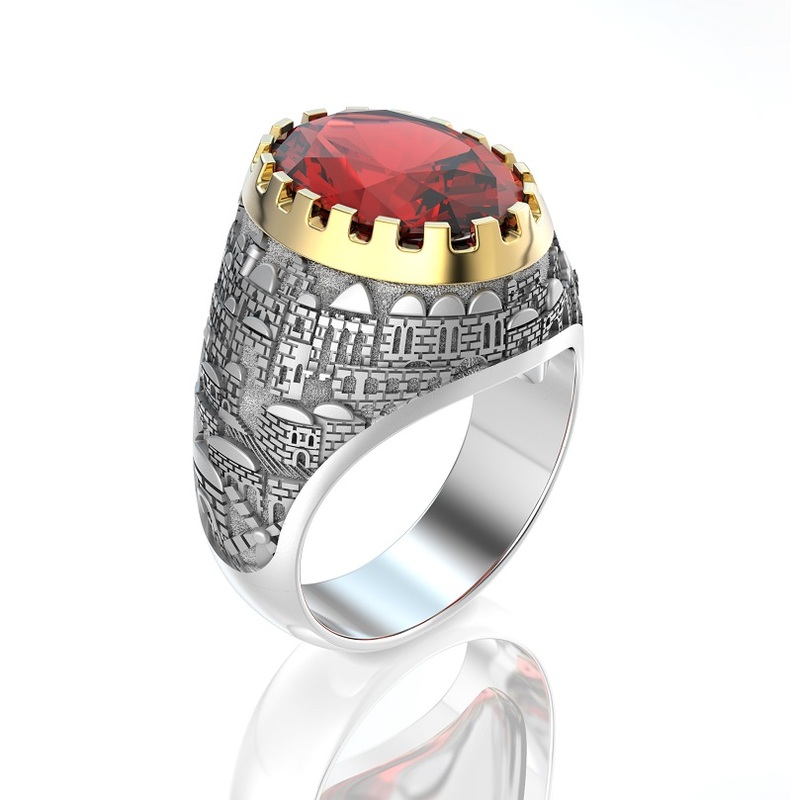 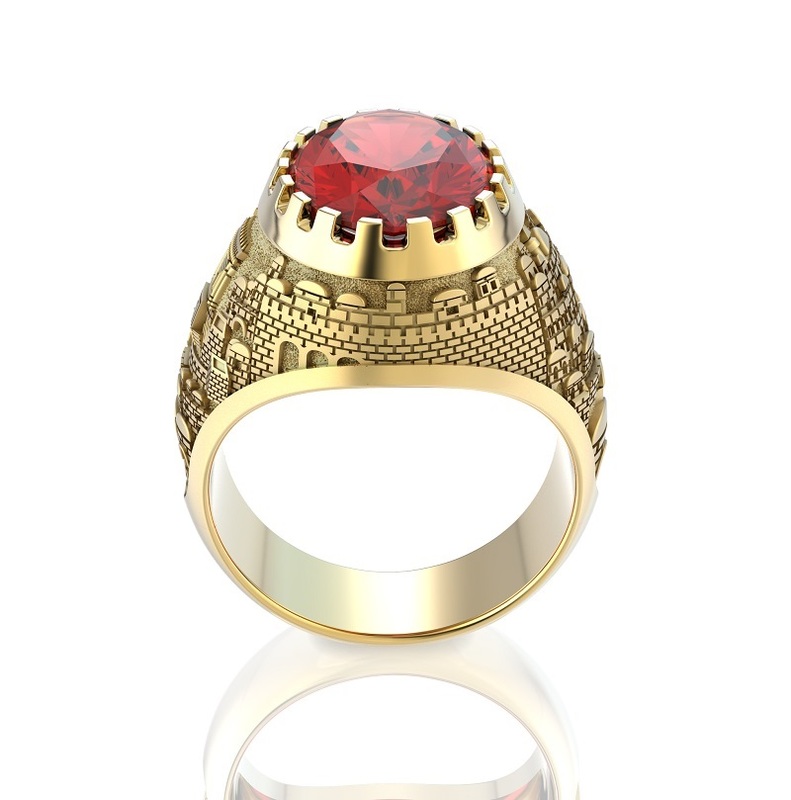 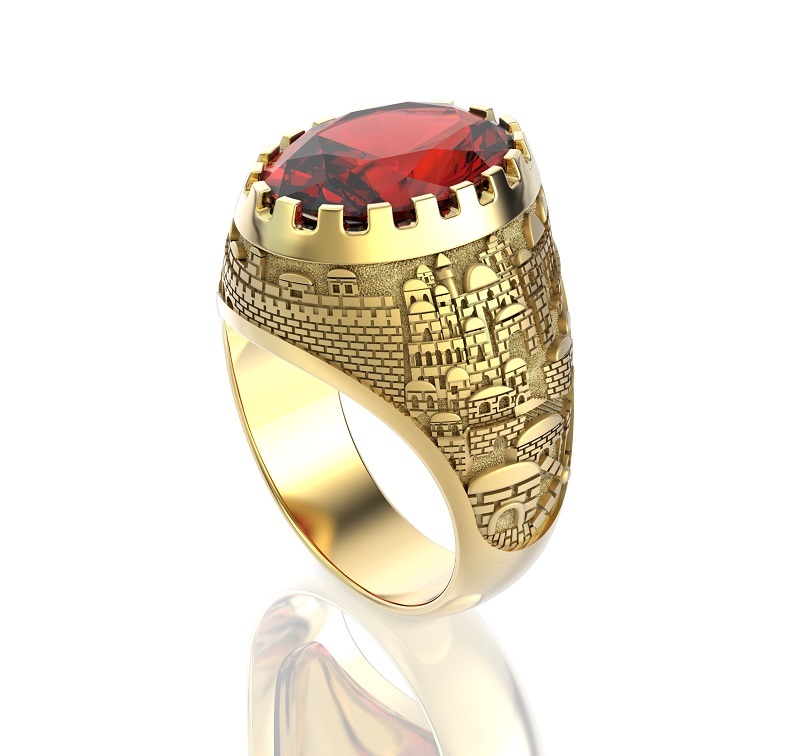 This simply amazing ring is made out of 14k yellow gold and features an engraving of the Old City of Jerusalem, surrounding a wall supported red sapphire gemstone. 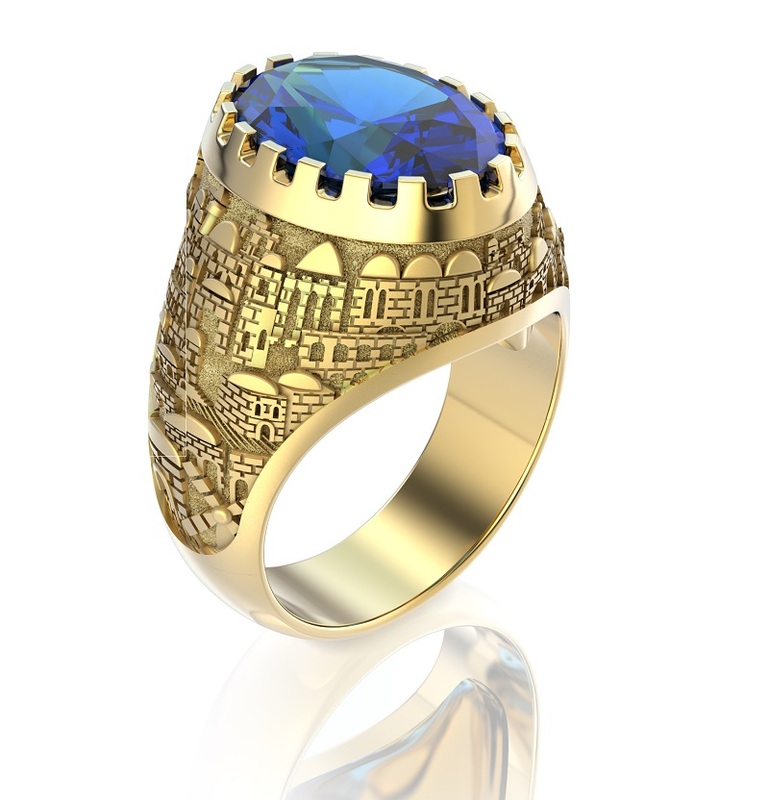 This wonderful, inspiring, delightful ring is unique and beautiful, made of 14k yellow gold and holding a red garnet or blue sapphire atop a turreted wall, this ring is surrounded with an engraved image of the Old City in Jerusalem, stone walls, arched windows, and domed roofs. 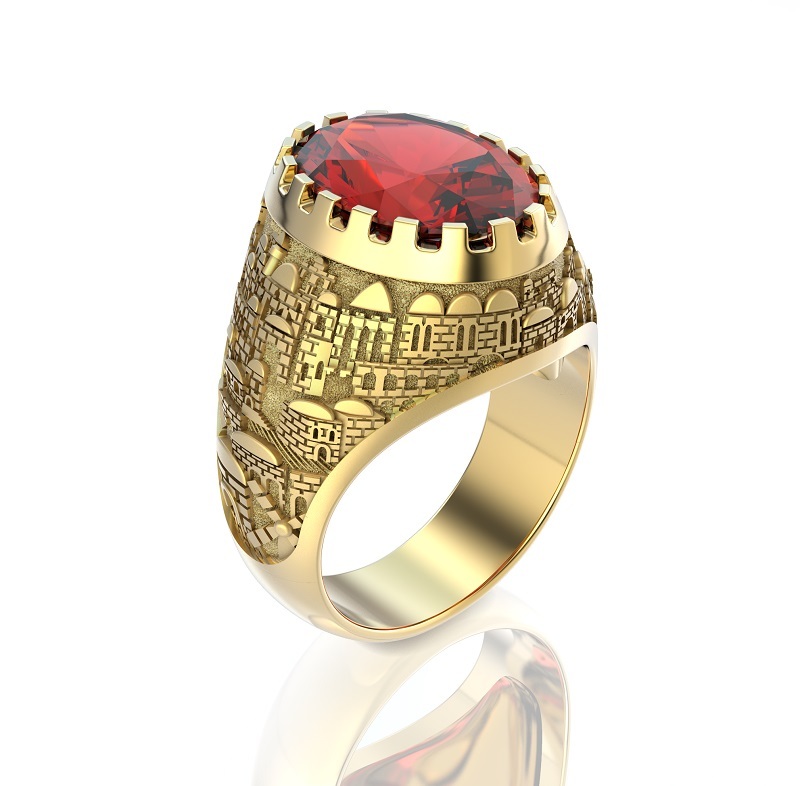 This ring truly showcases the golden glow of the holy city and is a phenomenal representation of historic Jerusalem in a piece of Israeli jewelry. 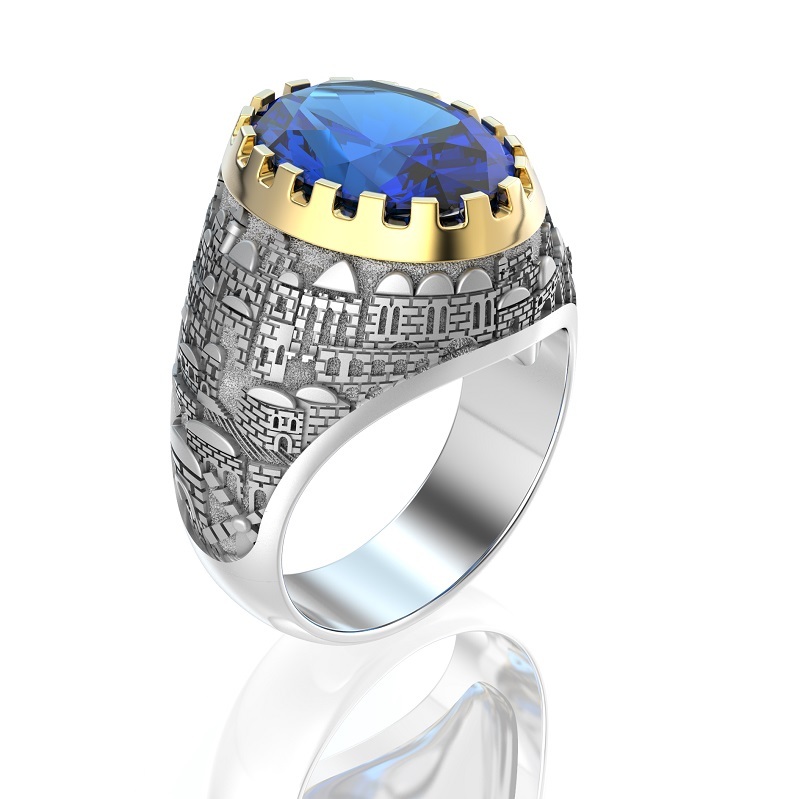 Handmade in Israel, this is the best possible item of Jewish jewelry to remind you of the holy land daily, and also makes a terrific gift.